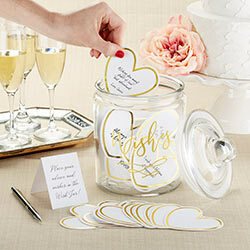 Write your well wishes, a piece of advice, or your own little message on Kate Aspen's Heart Shaped Cards for Wish Jar! 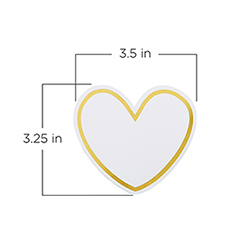 The white cardstock heart-shaped cards are sold in sets of 50, and are perfectly sized for creating simple mementos that can be treasured forever. 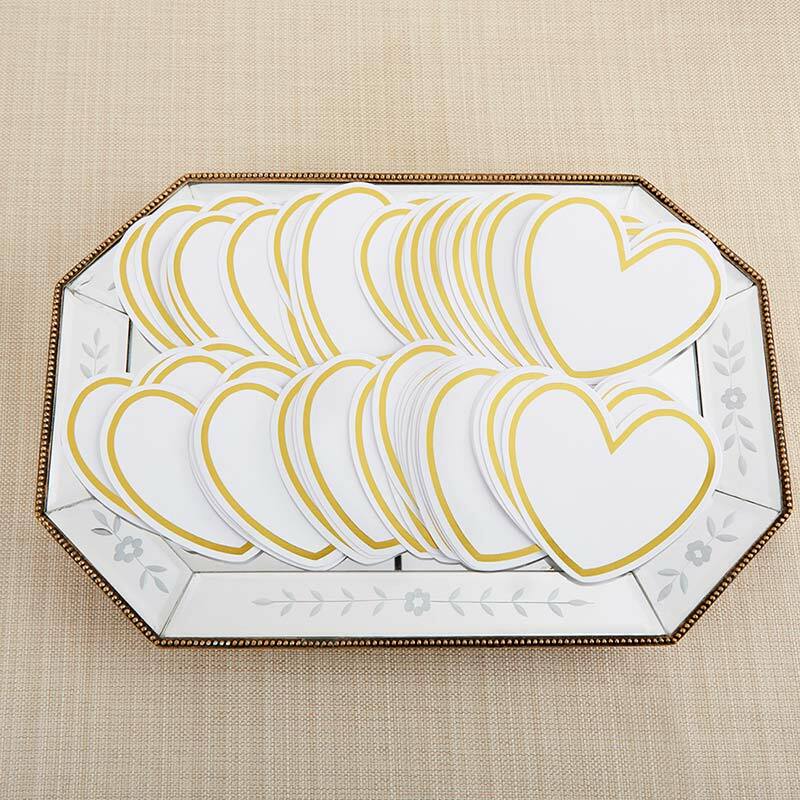 After a wedding, shower, anniversary party, or other event, recipients can frame their collection of wishes and relive their special day over and over again. 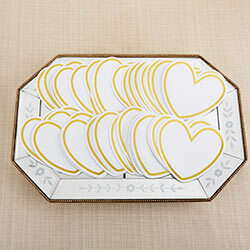 Each heart shaped card presents the perfect reception activity your guests can have fun with! 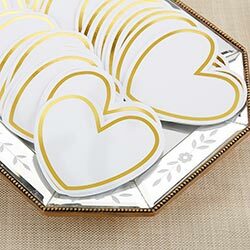 White heart shaped cards made from cardstock with a gold foil border. Heart shaped cards measure 3.5" w x 3.25" h.